In May I escaped for a short visit to one of the nicest equestrian facilities in the Northwest––The Oregon Horse Center (OHC). This was my first visit to OHC and though I’ve heard many good things about this facility it was even better than I expected! This particular weekend they were hosting one of their biggest shows with The Western States Stock Horse organization renting two arenas. The beautiful thing about OHC is they have nearly 5 acres of arenas, stalls, seating, offices and a restaurant all under one roof. The OHC occupies 275 acres with five indoor arenas and nearly 500 stalls. Even the regular boarders have a covered area under the same roof to ride under while shows are going on. This expansive property includes yet another arena and boarding facility next door. Plans include a new boarding barn currently under construction and a large cross-country course. It seems that nearly every breed and discipline use this event center. The staff is kind, helpful and knowledgeable. They have their own facility photographer, Chris Sloan, and each team member takes pride in their specific duties around the place. The facility has a show office exclusively for the use of the organization renting the space, seating for over 500, and over 75 RV spots with power and water. There is plenty of room to maneuver big living quarter trailers and convenient bathrooms with showers outside near the RV parking. OHC is known for their Mountain Trail Course. OHC is known for the incredible mountain trail course they put up every spring and fall in the largest indoor arena. Also, the Eugene Pro Rodeo is held here over the Fourth of July weekend on the rodeo grounds next to the main complex. It’s absolutely amazing how much can be accomplished in one place. Most fairgrounds can’t compare to this venue. Oregon Horse Center is privately owned. Major Dafoe is an industrious entrepreneur who decided to build an equestrian facility along I-5 that rivaled all other facilities in the state. Major came up with the design and uses his vast knowledge from owning several different businesses to keep this place running smooth and efficiently. His family showed horses for many years, so he understands the needs of running such a venue. His experience has helped him create something unique which benefits horse owners throughout the Northwest. Major started this project by building the rodeo grounds in the 1990s. In 1999 he started building Oregon Horse Center, taking two years to complete the first phase. He has since added a second arena (the Prairie Arena) next door for smaller events as well as a recently added beautiful cross-country course for the eventing crowd. The big course is 1750 meters and the smaller is 1050 meters. There are over 18 obstacles with adjustment for 3 different heights. They even have a small practice course with a water obstacle. Major says he is most proud of the fact that this project was done privately. No government grants or outside sources funded the project. Even so, the facility is profitable and self-sustaining. Major loves his job, works at it seven days a week, and receives no salary. He has kept the rental prices very affordable — much lower than competing fairgrounds. Because this facility specializes in horse events, it is best suited for area shows and competitions. Major is proud of his staff. It takes at least 10 to 15 people to keep this operation running smooth. The uniqueness of OHC keeps people coming back and developing friendships. That’s easy to do when your stalls, warm up arena and competition are held under one roof. This popular venue is booked nearly every weekend! The central location, affordability and friendly atmosphere keep people coming back. Major says his biggest challenge is coming up with new stuff to offer. He always researches and listens to suggestions for new things to do. It’s a growing atmosphere that inspires friendships and brings horse people together. He’s made such an impact on the horse community that people have come from around the world to see his facility. One man with a dream, an incredibly supportive horse community, and amazing staff make this place a destination spot for horse people. Consider Oregon Horse Center for your next equestrian event. 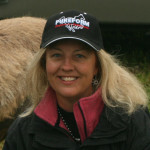 Visit www.OregonHorseCenter.com or call (541) 689-9700.